Sri Lanka’s mission to the Southern hemisphere appears to be on a tragic course if the results in New Zealand are any indication. They left empty-handed after a winless tour in all formats and life for them appears bleaker as they take on an Australian team smarting from a historic whitewash at home at the hands of the high riding Indians. While Sri Lanka’s aspirations are more in hope of improvement due to the immaturity in the current squad, the Kiwis and Aussies are proud defenders at home and are uncompromising against all-comers in battle. 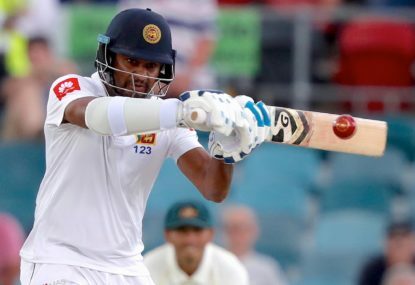 The Sri Lankans feature in their first Pink ball Test at the Gabba in Brisbane on February 24 before travelling to Manuka Oval in Canberra for their final encounter which is incidentally the first Test in the Australian Capital. 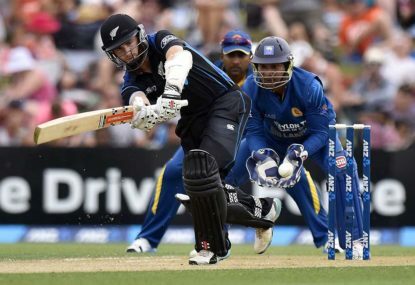 New Zealand showed the Islanders no mercy with crushing wins in the Tests and shorter formats of the game although Sri Lanka battled valiantly in the one-dayers despite losing all of them. Rain saved them from total demolition in the second Test after New Zealand went on a leather hunt against a hapless Sri Lanka attack which leaked more runs than any other team that has toured this part of the world before. 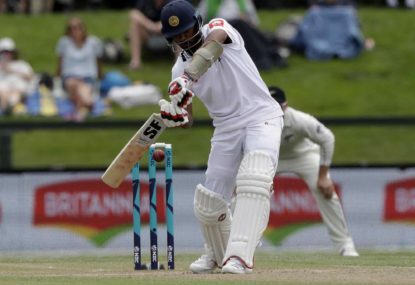 Sri Lanka’s batting except for Angelo Matthews and opener Dimuth Karunaratne found little answer to New Zealand’s experienced pace attack led by Tim Southee and Trent Boult, who tore the heart out of a weak-kneed effort by the rest and bad shot selection from experienced campaigners such as skipper Dinesh Chandimal who should realistically be finding a question mark over his selection for the rest of the tour. Compounding an already dire situation is the loss of the only shining light on the Kiwi leg of the tour, former skipper Angelo Matthews who once again succumbed to hamstring issues which have plagued him in the recent past. Matthews ended the New Zealand Tests as the highest run scorer being dismissed only once. There was also much speculation among the one-day squad who are reported to have indulged in some in-fighting causing a rift within. It is a definite recipe for disaster particularly when the combatants are among the most experienced in the squad. Lasith Malinga and Tissara Perera were the standouts for Sri Lanka in a winless effort but they have got to find a way to train their focus on the opposition and not on themselves. Two Tests against Australia will define who has benefited from the experience against New Zealand and for Chandika Hathurusinghe, who made his mark as respected coach for New South Wales before taking Bangladesh to greater heights this leg of the tour will be an acid test of his ability in a role, he has yet to deliver on lofty expectations. 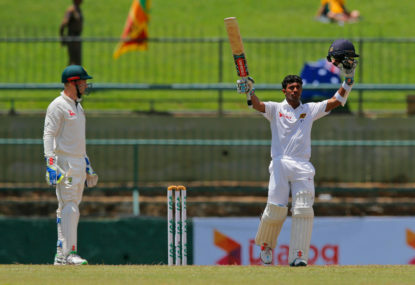 Hathurusinghe is currently under the pump to prove that Sri Lanka’s investment in him is justified as he faces heavy criticism on social media from knowledgeable critics who label him a financial disaster alongside his Australian counterpart Asanka Gurusinha, who controls the direction of the Sri Lankan attempt to resurrect the team. 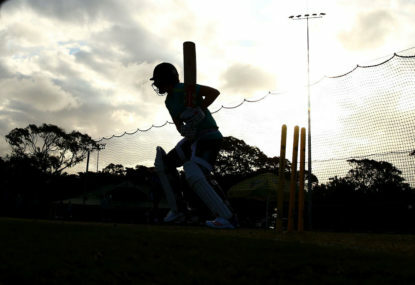 From the experience in New Zealand, Sri Lanka will need to focus on their handling of the bouncer barrage they will face from the quicker Australian attack led by Pat Cummins, Mitchell Starc and Jhye Richardson, the latter replacing injured Josh Hazlewood, who made life uncomfortable for the Indians before they were subjected to the return fire from India who also possess a potent attack led by Jasprit Burmah, Ishant Sharma and Mohamed Shami. By now the New Zealand experience would have given them some degree of conditioning to the bouncier and more lively tracks compared to those found on the Asian sub-continent and Sri Lankan fans in this part of the world are anticipating a backs-to-the-wall effort from the team as they desperately struggle to re-establish themselves as a force to be reckoned with. Their journey ahead is as daunting as they travel to South Africa to take on the Proteas who are also an uncompromising prospect. 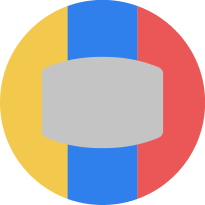 But the experience they gain on the Southern Hemisphere sojourn will be invaluable particularly for some of the younger members as they toughen up for their careers in the future. Sri Lanka’s triumphant Test match euphoria has quickly dissipated into the previously familiar role of eating humble pie. One Kusal spelt trouble for South Africa in the first Test but two Kusals spelt double trouble as Sri Lanka stunned the hosts and the rest of the cricketing world to pull off a sensational series victory in Port Elizabeth against all odds.